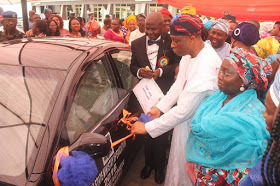 grounds, enhance productivity and promote diligence and commitment to serve”. She challenged the runners up in all the award categories to strive harder and remaincommitted to the pursuit of excellence. equally interested in the feat. have consequences and therefore urged those engaging in both vices to retrace their steps to avoid being sanctioned. on the lives of the beneficiaries. 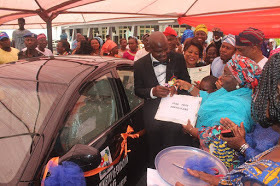 0 Response to "Lagos State Best Teacher Receives A Brand New Car As A Reward For His Hardwork"